Kim Jong-un has reportedly executed two top officials in just five days over mishaps at North Korea’s test missile site. The latest unnamed executive was killed after he allegedly took responsibility for setbacks at the Punggye-ri nuclear base, which led to the date of a rocket launch being pushed back. The so-called tubby tyrant is said to have been reshaping North Korea’s ruling elite in recent months as he fears the military is becoming too powerful. He has also launched dozens of missiles this year, as well as detonating the hydrogen bomb on September 3. 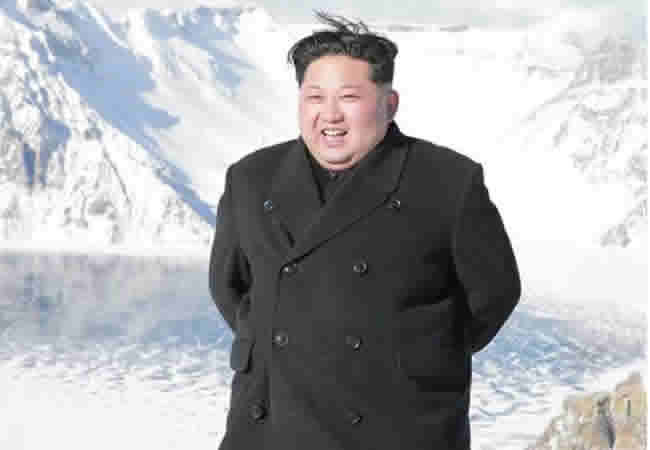 Earlier this month Kim was pictured on top of a mountain he previously ‘climbed’ before executing top officials – sparking fears he was about to do the same again. The tyrant visited the significant Mount Paektu, seen as mystical and situated not far from North Korea’s nuclear testing facilities, where Kim goes to make important decisions. In 2016 he was pictured on the mountain before carrying out a huge nuclear test. In April 2015 he visited the mountain then executed former defence chief Hyon Yong-chol. In November 2013 he visited the mountain before killing uncle and political guardian Jang Song-thaek.